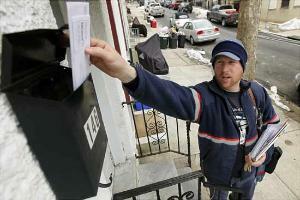 Postal Cuts to Slow Delivery of First-class Mail – WHO CARES?? Accept and use electronic payments. Using online services are very inexpensive and easy to use. Typically payments clear in 2 days, which is less than the time it takes to receive a first-class mailed check, and have that check clear. Use a scanner to convert paper documents to digital and send them via email or eFAX. A super-nice desktop scanner can be acquired for less than $400. Check to see if a scanned document can be substituted for paper documents. I see many organizations who use paper documents simply because they have always used paper documents. Ask the question. Many will find that a digital document is just as legal as the paper document, and in fact it is preferable to the paper document. So long as you can get business documents and payments quickly, there are plenty of other options for packages. It is rare that bulk mail, catalogs, and greeting cards must arrive faster than 2 days.